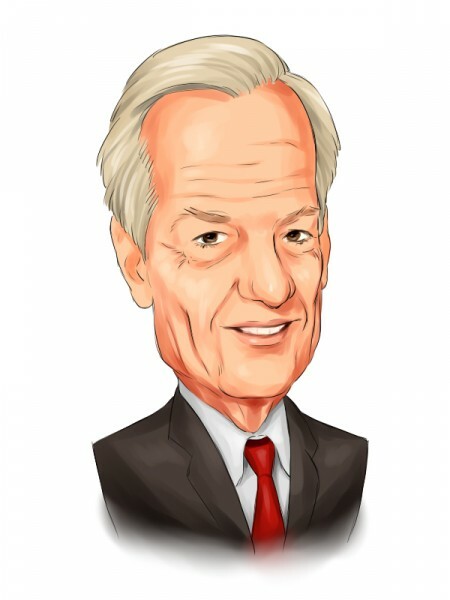 Jorge Paulo Lemann’s 3G Capital has recently submitted its 13F filing for the second quarter, which revealed a $1.32 billion equity portfolio with 23% concentrated in the energy sector. It is not a secret that the energy sector is experiencing strong headwinds at the moment, while the commodity futures market doesn’t leave any hope for the improvement in the near terms. Therefore, it is especially interesting how managers like Lemann service their positions in the depressive sector. Among the top energy picks of the fund one can find Halliburton Company (NYSE:HAL), Marathon Petroleum Corp (NYSE:MPC) and Phillips 66 (NYSE:PSX). In this article we are going to take a closer look at how these companies have performed over the past few months and consider what other investors think about them. 3G Capital is a Brazil-based investment firm that was co-founded by billionaire Jorge Paulo Lemann and is most well-known in the finance world for its acquisition of Burger King in 2010 and for its collaboration with Warren Buffet’s Berkshire Hathaway in the purchase of Heinz in 2013. Earlier this year, 3G Capital and Berkshire Hathaway joined forces yet again in the merger of Kraft and Heinz, which resulted in one of the biggest food and beverage companies in the world. Professional investors like Lemann spend considerable time and money conducting due diligence on each company they invest in, which makes them the perfect investors to emulate. However, we also know that on average the returns of hedge funds have not been good for several years, underperforming the market. We analyzed the historical stock picks of these investors and our research revealed that the small-cap ideas of these funds performed far better than their large-cap picks, which is where most of their money is invested and why their performances as a whole have been poor. Why pay fees to invest in both the best and worst ideas of a particular hedge fund when you can simply mimic the best ideas of the best fund managers on your own? A portfolio consisting of the 15 most popular small-cap stock picks among the funds we track has returned more than 118% and beaten the market by more than 60 percentage points since the end of August 2012 (see the details). During the second quarter, 3G Capital trimmed its holding in Halliburton Company (NYSE:HAL) by 1.5%, leaving exactly 1.00 million shares valued at $43.07 million. The stock of the $33 billion oil giant has inched down by 2% year-to-date partially on weakness in oil prices, but it also has underperformed the Oil & Gas Equipment and Services Industry, which appreciated by almost 4%. Nevertheless, Halliburton Company (NYSE:HAL) exceeded the expectations for the second quarter, posting diluted EPS of $0.44, above the expected $0.29. In November, 2014 the energy company entered into a definitive agreement with Baker Hughes Incorporated (NYSE:BHI) for the acquisition of the latter. In the meantime, the transaction is awaiting regulatory approval from the appropriate authorities. Jeffrey Ubben‘s ValueAct Capital held some 57.32 million shares of Halliburton Company (NYSE:HAL) valued at $1.62 billion, as of the end of June.